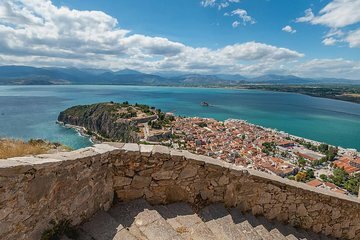 Visiting Mycenae and Nafplio from Athens independently may mean only scratching the surface of their sights and history. Get more from both on a full-day tour that offers deeper insight and behind-the-scenes cultural experiences. Explore Mycenae’s ruins as you learn their history, and go beyond Nafplio’s obvious sights with visits to craftspeople to see how they still make local products using centuries-old methods. Guiding at Mycenae and lunch are included.